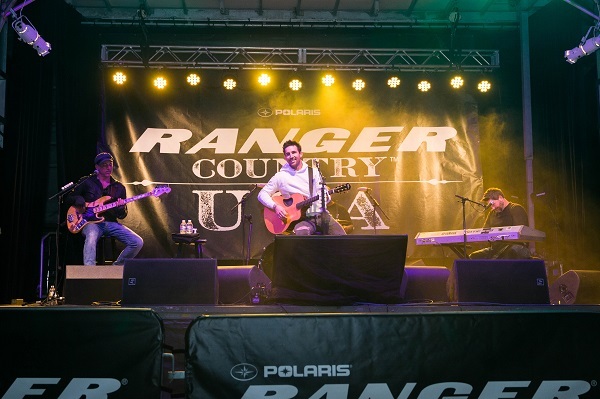 Polaris, the industry leader in off-road vehicles, awarded Pinedale, Wyo., with the title of “RANGER Country USA,” and hosted a celebration for residents of Sublette County with a performance by country music superstar, Jake Owen. During the April 12 event, Polaris unveiled a “RANGER Country USA” mural depicting the RANGER-lifestyle embodied by Pinedale that will live at town hall along with donations of the all-new RANGER CREW XP 1000 to Tip Top Search and Rescue, M.E.S.A. Therapeutic Horsemanship and Boy Scouts of America, Pinedale. To celebrate building its one-millionth RANGER utility side-by-side vehicle, Polaris kicked off the search for “RANGER Country USA” with country music star Jake Owen. The two-month campaign featured video profiles devoted to five small towns from across the United States, including Pinedale, and asked consumers to vote for the town they believed was most-deserving of the title. After three weeks of voting, Pinedale, Wyo., was voted “RANGER Country USA.” Corning, Ark. ; Darlington, Wis.; Spring Creek, Nev.; and Stephenville, Texas, were among the four other towns vying for the title and were awarded for their participation in the campaign with three RANGER vehicle donations. Want more from Polaris? Click here!